Set into place, tighten with a hex key, size 4. Done! 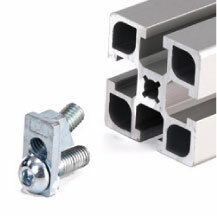 Besides aluminium profiles, we also offer an extensive and proven product range that encompasses more than 15,000 items.